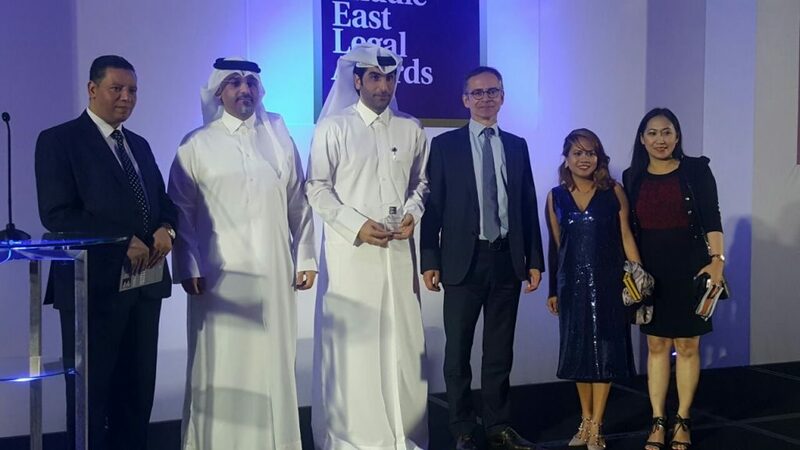 Last Thursday, Mr. Salman Al-Ansari, the Vice President of Qatar Players Association, received the ACC Middle East Achievement Award 2017, which is host by the ACC and Legal Week, based on his work in relation to the promotion of the welfare of professional footballers in Qatar, by establishing the infrastructure and professional bodies to promote the sport and players and advised the Government on important football issues. His work is particularly significant as it is a first for the Middle East and establishes the framework on which other Middle East countries can follow. Specifically, he oversaw the establishment of the Foundation of Qatar Sports Arbitration as an independent organization from Qatar Football Association, Qatar Stars League and Qatar Players Association. In addition, Mr. Salman Al-Ansari is the founder of Qatar Platers Association to be the voice of the footballer in Qatar, defends their rights and enhance the environment under which they practice football. Mr. Abdulrahman Al-Kuwari, the Vice President of Qatar Players Association, said that such recognition is for Qatar and the whole football sector especially Qatar Players Association. He ended his statement by congratulating Mr. Salman Al-Ansari, the Vice President of Qatar Players Association for such achievement.